It has one of the most comprehensive job searches and a plethora of opportunities.Clean interface provides excellent results across all categories. It also offers resume building services and resume flash through web based and sms alerts for you. Monster is a flagship brand of Monster Worldwide,Inc having the main objective to enable the job seekers find out about job/career and avenue to you. 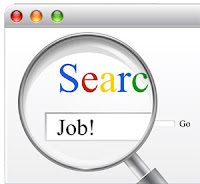 This site contains all types of jobs and helps individuals to find out job for your choice.It also offers a seperate portal for jobs in Middle East. Shine focuses on matching job opportunities with the applicant's unique skills and provides a salary benchmarking tool to you. This site allows to keep some of your information confidential if you desire. If a potential employer is interested to view your full profile,you will be directly contacted through your email.